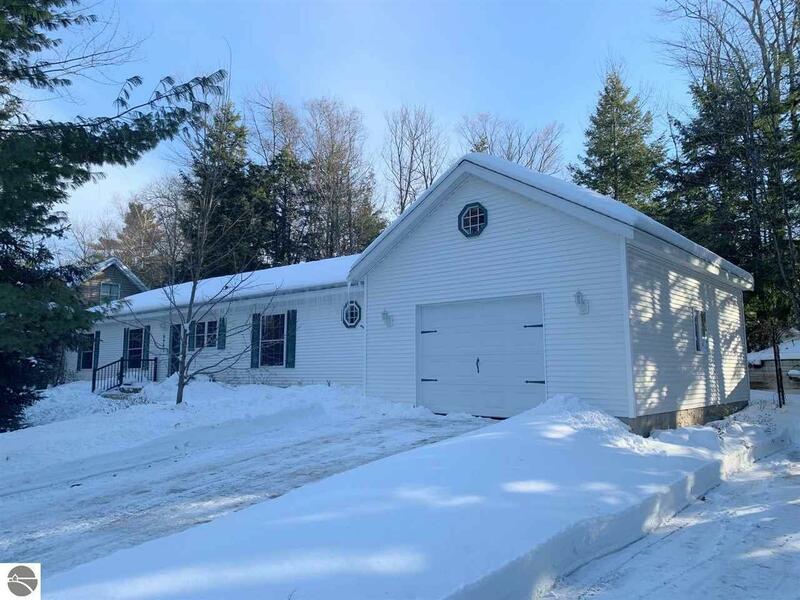 RARE ELK RAPIDS WATERFRONT opportunity! Charming 3BR, 2BA ranch w/attached garage with additional waterfront lot offering direct docking/boating access to the Bay! Over 1700 sq. Ft Boca Modular (2x6 construction) located in great Inwood Harbor neighborhood offering private boat launch and two sandy beach lots, all w/in a short bike ride (close to proposed Tart Trail) or walk to the quaint waterside Village of Elk Rapids! Waterfront: Priv Frontage (Across Rd), Bluff (less than 10ft), Canal, No Wake, Yes, 95 Ft.